Our Year 6 pupils went back in time on Thursday when they attended a workshop based on World War II as part of their history topic. 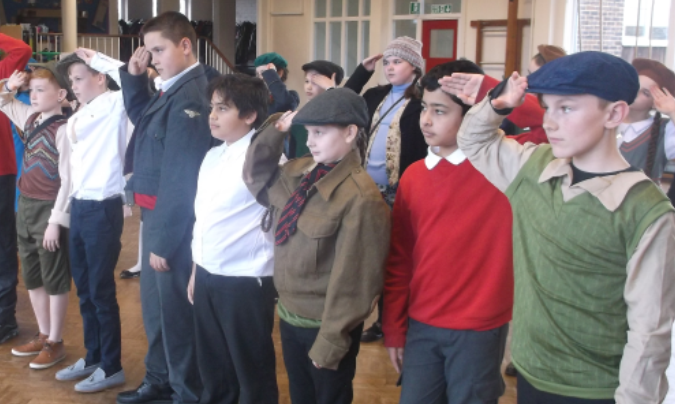 The children came to school dressed in typical evacuee costumes and took part in various activities including an air raid siren drill, salute and march drill, de-coding test, learnt bomb deactivating skills, took part in a World War II quiz and learnt about rationing. They had a fantastic day and this workshop really helped to enhance their understanding and knowledge of their topic.